Pankaj K. Bhatnagar M.D., F.A.C.S. Dr. Pankaj Bhatnagar, also known as Dr. PK, is a dedicated, honest, and trustworthy provider who strives for excellence in patient care. It is his meticulous way that has earned him five stars among his patients and peers. With a love for education, he takes time to teach medical students, staff, and patients. He was presented with the best teacher award at Hahnemann University in Philadelphia in 1995, and has worked as a Clinical Assistant Professor at the University of Wisconsin from 2002-2007. He served as a Clinical Professor of Surgery at an Osteopathic College in Pikeville, Kentucky from 1999 to 2001. 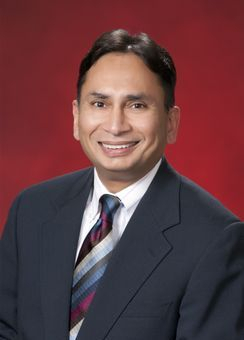 Dr. Bhatnagar received his medical degree from Maulana Azad Medical College, India and has been board certified since 1996 and is a Fellow of the American College of Surgeons. Dr. Bhatnagar has worked closely with Davita Dialysis and Kidney Specialists of Southern Nevada to provide patients with lifesaving access procedures. Davita’s Dialysis group presented him with an award for exceptional work a few years ago. He opened his practice Advanced Laparoscopic and General Surgery of Nevada (ALGSN) in January 2008. He specializes in minimally invasive procedures including but not limited to, laparoscopic procedures, robotic surgeries, such as stomach and colon resection, cholecystectomy, appendectomy, and TIF (Transoral Incisionless Fundoplication Procedure). Dr. PK is Board Certified with the American Board of Surgeons. He has more than 22 years of experience and is certainly a cut above the rest.